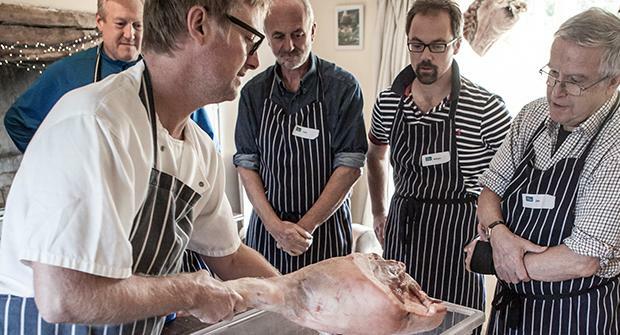 Meat lovers unite, our meat curing course offers up a day of honing your artisan curing and smoking skills at the River Cottage Cookery School. Whether you rear your own animals or just want the pleasure of frying your own bacon, our practical one-day Meat Curing and Smoking course will give you the confidence and know-how to create truly great, flavoursome ingredients, such as salt beef, salami and hot smoked fish. You will learn basic butchery skills and the key techniques for curing and smoking, with plenty to taste and try along the way. The smoking and curing course is set against the stunning backdrop of River Cottage HQ where you’ll also enjoy your two-course lunch and have the chance to explore River Cottage HQ. Still in search of the perfect cure? 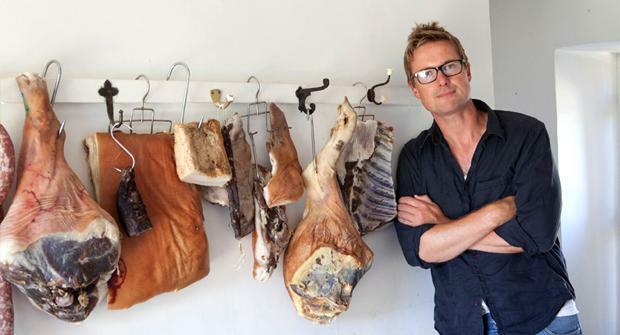 Read more about smoking and curing the River Cottage way. "This course is about instilling confidence and it did that – it's only a matter of time before I'll be eating home-cured bacon" – Gregor Shepherd, Olive magazine. If you are looking for a Meat Curing and Smoking day in November or December, why not try our Christmas Christmas Curing and Smoking day? We had a fantastic day at River Cottage learning about smoking and curing all kinds of meat and fish. Steve Lamb was a fantastic host that inspired us to go home and build our own smoker. I would highly recommend this course for beginners and meat enthusiasts alike. You will meet your hosts and start the day with tea, coffee and treats fresh from the kitchen. Your lessons will begin with traditional dry curing. We’ll take the middle of an organic pig and show you how to transform it into pancetta-style streaky and back bacon. Next we’ll demonstrate how to prepare and salt a whole a leg of pork, for prosciutto-style, air-dried ham as well as making salami. We will also cover brine curing, including how to prepare a whole gammon, and as an alternative to pork you’ll learn how to make classic salt beef, pastrami or bresaola. You’ll sit down to a lunch of local, seasonal produce, prepared by the River Cottage chefs. Naturally, the meal will feature cured and smoked stars such as salt beef or River Cottage ham. The afternoon will focus on hot and cold smoking, and how to build your own smokers at home. You’ll learn how to fillet and prepare fish for smoking, as well as tasting some wonderfully smoked fish and meat for yourself. At the end of the day there will be time to chat to your fellow scholars and the River Cottage team, before being whisked back up the hill by our tractor and trailer at 5pm.